Weekends are for relaxing and feasting – yes, even with the children in tow. You can do both at one of these kid-friendly weekend lunch and brunch options in Singapore. Enjoy! Since the week is over, it’s time to sit back, relax, and enjoy a sumptuous meal. But how can you do that with the kids as well? Perhaps one of these kid-friendly weekend brunch restaurants – they all have some form of entertainment for the little ones – would suffice. Seasonal Tastes has been offering its Sunday Family Lunch since April this year. Considering the full house it was when we were here, it seems like this is a hot favourite with families looking for a deliciously relaxing way to recharge over the weekend. Just looking at the gorgeous seascape out of the floor-to-ceiling picture windows is soothing. And if you’re lucky enough to be seated right next to that view, you may, like us, never want to leave. 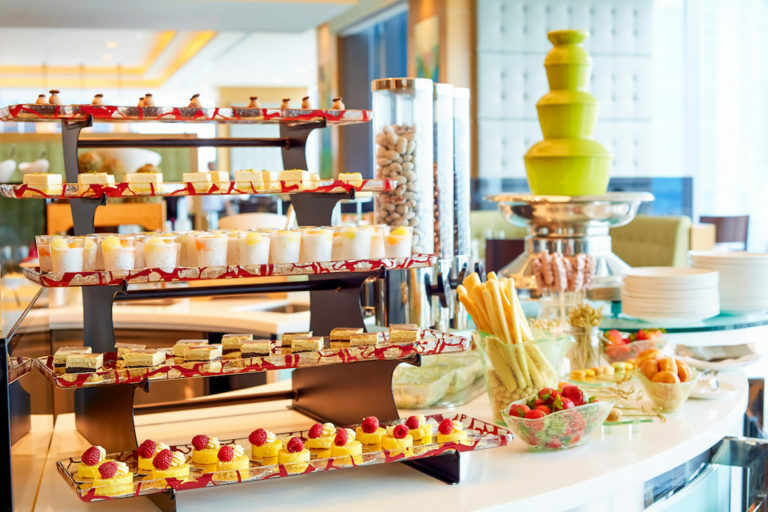 Just for kids: The spacious kids’ area at one end has a mini buffet on low tables, hence smaller ones can easily reach for what they want. Kid-sized furniture and fun activities like cupcake decorating and colouring keep little hands busy, while mini aprons and chef hats help keep clothes clean. My children zoomed in on the bottles of Meiji milk – we’ve never seen these at any other buffet – as well as kid favourites like chicken sliders, potato wedges, potato and egg salad, fruit skewers, brownies, muffins, and gummies with marshmallows. The Marriott Cafe’s Sunday Lunch Buffet is an ideal start to a day of wining, dining, and post-lunch power shopping. Because the cafe sits smack at the crossroads of some of Orchard Road’s biggest malls, you can eat, then burn off some calories while browsing Singapore’s shopping street. But first, the food. There’s delightfully fresh seafood such as oysters, snow crabs, crayfish and prawns at the Seafood Station, and local dishes such as the Singapore Chilli Crab and Chicken Rice. Finally, try not to miss roasted delights like the Crispy Pork Saddle with Pancetta Prune and Mixed Herbs and Slow Roasted Prime Rib at the Beech Oven Station. These will probably keep the carnivores in the family satiated. Just for kids: Children under five years dine for free. They can also order food from the la carte kids menu. Highchairs, child-sized cutlery, and activity booklets are available upon request. We love that The Salon’s Playtime Breakfast Buffet starts bright and early (just like the kids), at 7am every Saturday and Sunday. Because it goes on till 10.30am, there’s lots of time to get seriously stuffed. 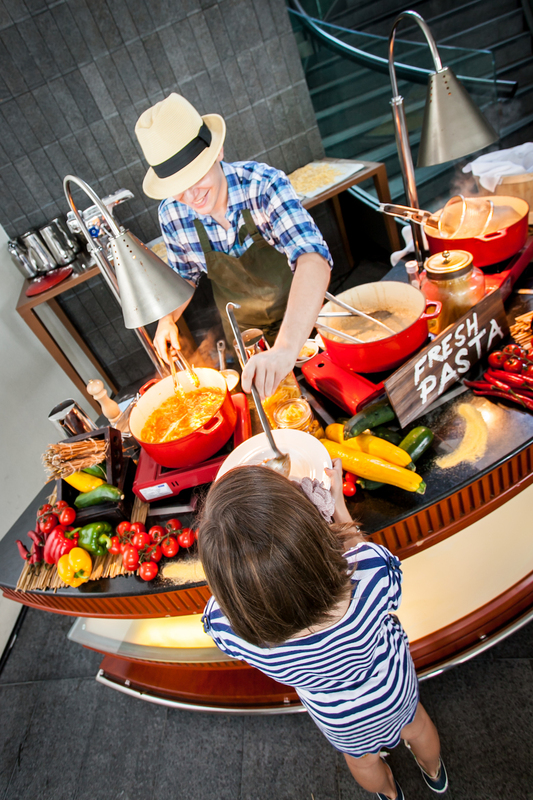 Kids can make requests at the live egg and pancake stations, and tuck into kid-friendly eats such as hash brown, ham and bacon, sausages, fruit yogurt, cereals, fruit, and baked bread. After the buffet ends (at 10.30am) they can still order from a children’s menu, which has favourites such as Fish & Chips, Spaghetti Pomodoro and brick oven-fired pizzas. Just for kids: Head out to the patio for some active play! The Play Zone (available from 7am to 3pm) has toys and slides to keep little ones entertained. In addition, the surrounding greenery, lush views of Fort Canning Park and the city skyline are an extra sensory benefit. Most noteworthy is the fact that Hotel Fort Canning is a Businesses for Families accredited brand. This means it offers family-friendly amenities such as ramps (for wheelchairs and prams), private rooms for nursing, colouring books and activity sheets for kids, children’s dining sets, and high chairs for our littliest bubs. 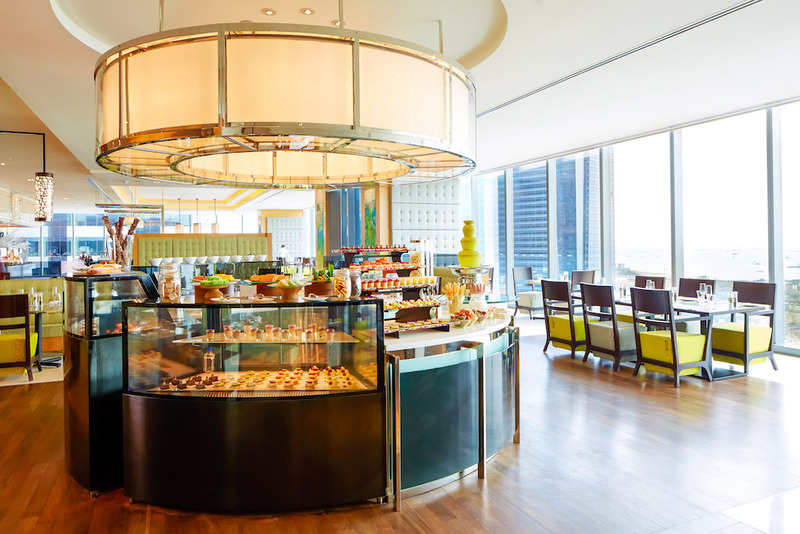 How about a weekend brunch with a difference, like say, a buffet of Cantonese delicacies? If you’re hosting the extended family and the grandparents prefer something traditional, Mitzo Restaurant & Bar offers a great balance that will definitely satisfy everyone. Must-eats: the signature BBQ pork (char siew), the pretty dim sum, the wok dishes and seafood delicacies like Bamboo Clam, Live Lobster and Abalone dish. 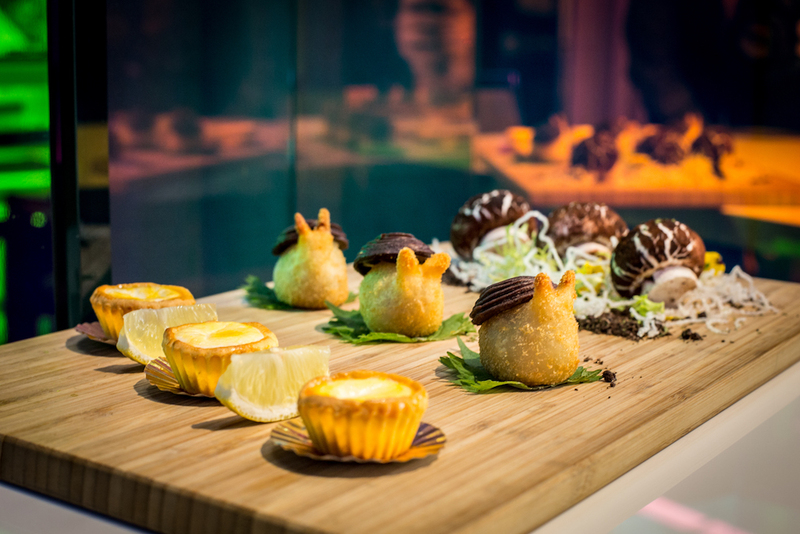 You’ll love the vibrant, cutting edge decor (which makes for exceptionally artsy photos) and the kids will adore cute treats such as snail-shaped escargot cheese puffs, wild mushroom buns, and Hokkaido milk cheese tarts (see picture above). Other child-friendly dishes on the menu include braised congee with scallop and hand-beaten Braised truffles pork ball. Just for kids: There’s a spacious playroom where young ones can watch cartoons, hug stuffed toys, complete activity sheets, and play with age-appropriate toys. 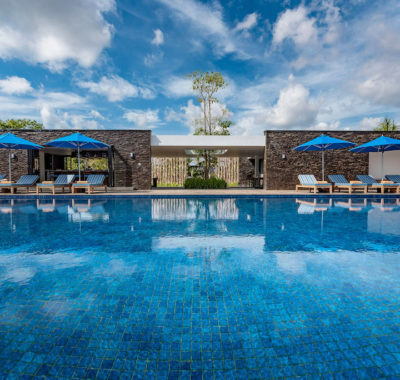 Go ‘overseas’ to Sentosa, specifically, The Knolls at Capella, where the lush greenery, soothing scenery, and laid-back seaside vibe will give you all those holiday feels. The buffet here is offers a taste of the Mediterranean and is rather sublime, we’d say, with fresh seafood, fine-cut meats, cheeses, and dessert buffet that cannot be missed. Kids can order from the a la carte menu (like chicken nuggets, kids pasta, fries, upon request). Just for kids: Thematic brunches (eg: Easter Brunch) offer special activities for children. When these are not the schedule, kids get child-sized cutlery, activity books like colouring pages and crossword puzzles. There’re the hotel’s iconic peacocks to look out for as well. Kids can also make song requests; the live band is more than willing to sing ‘ABC’ and ‘Twinkle Twinkle Little Stars’ just for the little ones! The Sunday Brunch at the award-winning One-Ninety restaurant is a delicious blend of Western and Asian cuisine. Tuck into hearty epicurean fare at the signature Market Fresh Semi-Buffet, which boasts Italian specialities such as Squid Ink Tagliolini, Mediterranean Octopus, and pizzas, as well as Asian favourites likeMurgh Makhani “Butter Chicken”, Cantonese Style Hor Fun, and Nasi Goreng. Don’t skip the Grill, where you can find Steak Frites, Wagyu Burgers, Whole Maine Lobsters, and Australian Black Angus. 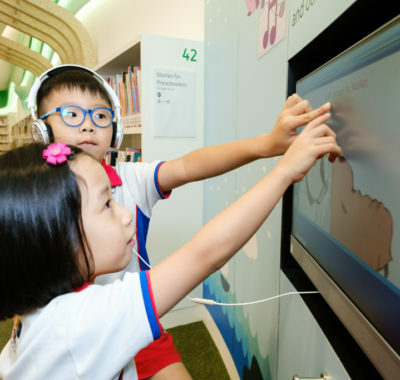 Just for kids: Little VIPs here get to enjoy a bouncy castle, face painting, arts and craft activities, balloon games, bookmark making, and movies. The Kids’ Corner also has a kids’ snack corner with finger sandwiches and cookies so kids. This means parents, you get to savour the delectable spread in peace. And if they get bored – can’t imagine! – they can watch the chefs showcase their culinary magic à la minute over apple-wood fired grills, a brick pizza oven, and a tandoor oven at the Theatre Kitchens. It’s worth making the trip here just for the sumptuous seafood spread, which includes fresh seafood such as prawns, lobsters and king crab legs. There’s also a live carving station with succulent roasts, and fresh deep-sea oysters from the French coast. But do try to leave some room in your stomach for the caviar bar and over 12 types of French cheeses too. Feasted enough? Chill out at the resort’s pool ($20++ per adult, free for one child 11 years and below when accompanied by a paying adult), or get a soothing end to the week at CHI, The Spa, where buffet diners enjoy 20% off a la carte treatments. There’s free parking (on a first come, first served basis) so you could stay here all day! Just for kids: There’ll be no complaints from the little ones here. 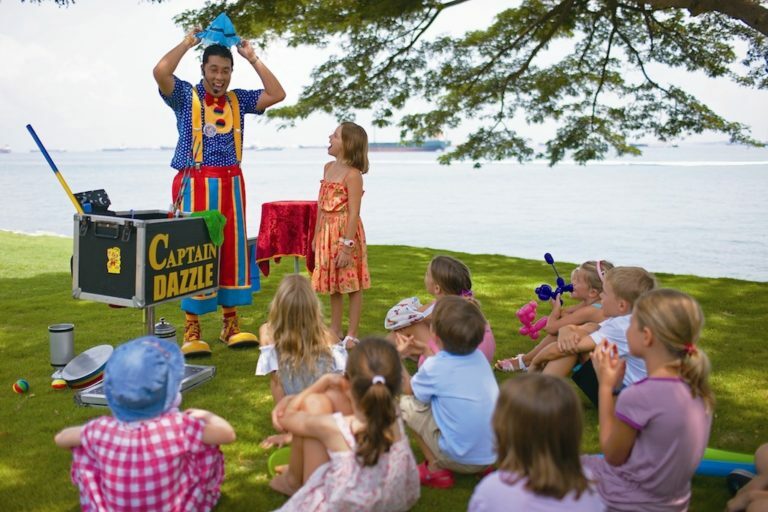 They’ll love the children’s buffet section, magic shows, and balloon sculpting activities. The lush open gardens are also good for a game or two of catching! 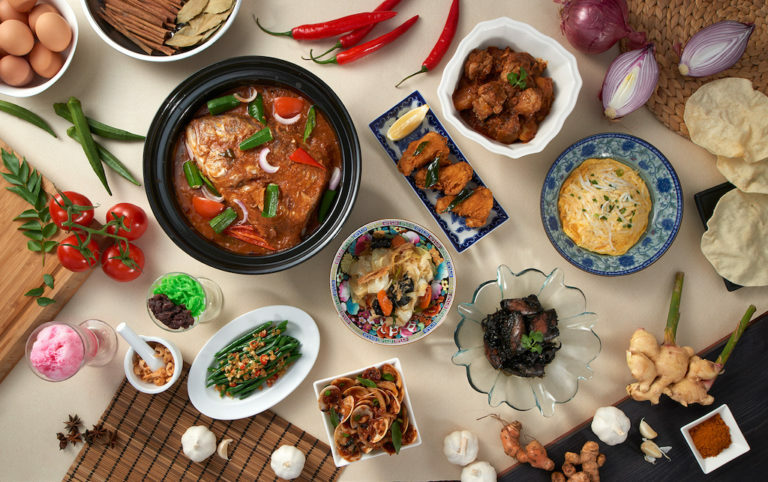 This isn’t a specialised weekend brunch but if you’re in the mood for local favourites, the Treasured Flavours of Singapore a la carte lunch buffet is a good choice. The 25 local iconic dishes available daily include all-time classics such as Kung Pao Chicken, Chai Poh Omelette, Chicken Masala, as well as the restaurant’s signature Fish Head Curry. Just for kids: The kids menu (for children below 12 years) has favourites such as Barney’s Burger (Grilled hamburger patty served with Truffle Fries, $13++) and Popeye’s Strength (Breaded Fish Finger served with spinach, French fries and tartar sauce, $$13). Each kid’s meal comes with a glass of Orange or Apple juice. The restaurant can also provide colouring books and pencils to keep your little ones entertained while you feast. Price $29 per adult, $15 per child aged 12 years and below (minimum 2 adults, excluding Penang Hawkers’ Fare, eve of Chinese New Year, Mother’s Day, Malaysia Food Fare and National Day). Senior citizens aged 55 years and above enjoy 10% off total bill on Tuesdays. 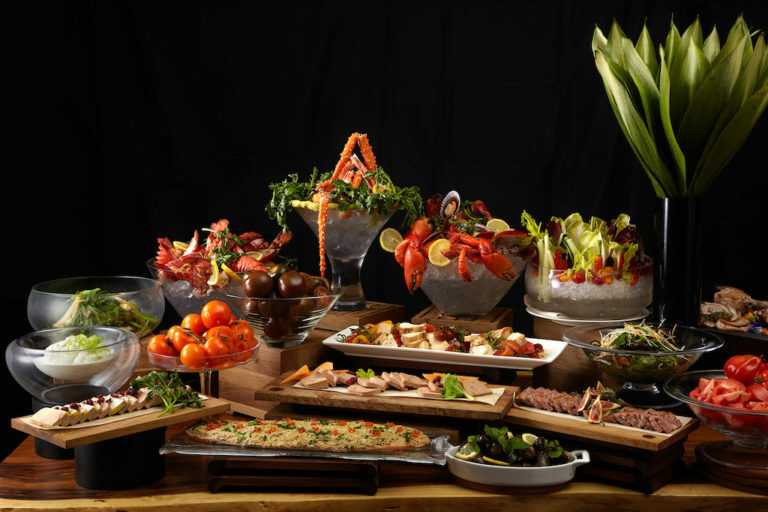 Brunch in Singapore just got Bigger, Better and Bolder with Sofitel Singapore Sentosa’s Ultimate Sunday Champagne Brunch! Fancy a pampering massage on-the-go as you sip on a glass of Taittinger champagne? How about a quick manicure between courses of lobster and oysters? Or perhaps you might fancy winning an exhilarating drive in a different luxury supercar each week? We’ve even got fun treats for the little ones – face painting, balloon sculpting, an amazing bouncy castle and a dash of henna art mean hours of fun at our Ultimate Sunday Brunch! So if you’re looking for a Sunday like no other – look no further. Sunday Brunch has arrived. Be sure to make your reservations early to avoid disappointment at +65 6708 8310 or email H9474@sofitel.com. Sofitel Singapore Sentosa’s “Bigger, Better and Bolder Sunday Champagne Brunch” is the kind of weekend indulgence we all want. Feast on a lavish buffet of Asian and French cuisine, with 16 different culinary ateliers to choose from. There’s something for everyone, from live seafood and foie gras à la minute to crêpes and their incomparable selection of 32 French cheeses – all accompanied by a free-flow of beverages. In between courses of oysters, lobsters or caviar, you can also admire some of the world’s most exciting luxury automobiles and sign up for exhilarating test drives or enjoy mini-spa indulgence. Just for kids: An amazing bouncy castle, face painting and balloon sculpting and much more! Singapore’s first ever Jazz Brunch lets you feast amid the backdrop of amazing live Jazz music, free-flow champagne, and all-you-can-eat Raclette Cheese and Meat Carving Live Stations. 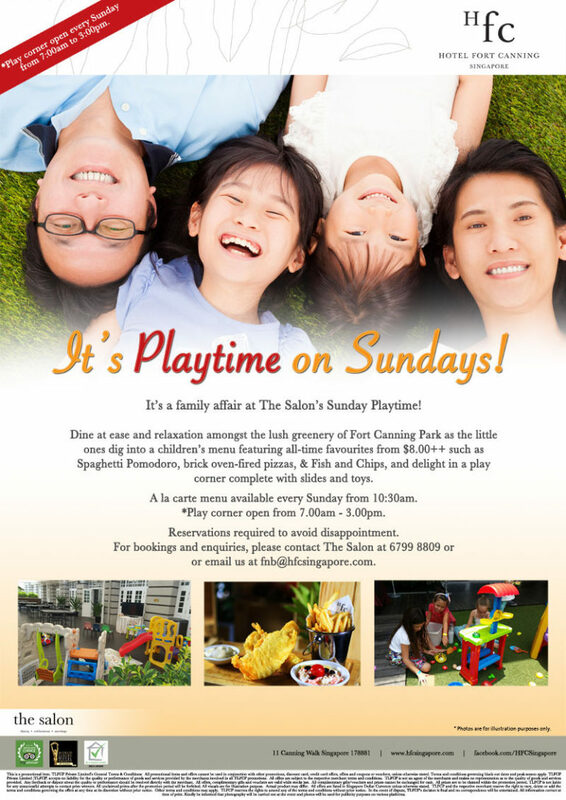 Just for kids: On Sundays there are dedicated kids’ entertainers and a separate play area to keep young ones engaged. They’ll be enthralled by activities like imaginative play, storytelling, singing, and dancing games, board games, and face painting. The Kids Brunch Menu ($18++) includes fish and chips, Mini B.B. King Burgers, and Movenpick ice cream. Price $98++ (including free-flow of alcoholic beverages and soft drinks) and $78++ (non-alcoholic). The Children Menu, consisting of the soup of the day, a choice of main and dessert, is $18++. Much as we love the city, we sometimes need a break from it. During the week, Da Paolo Bistro Bar is perhaps the perfect escape from the hustle and bustle of urban life. 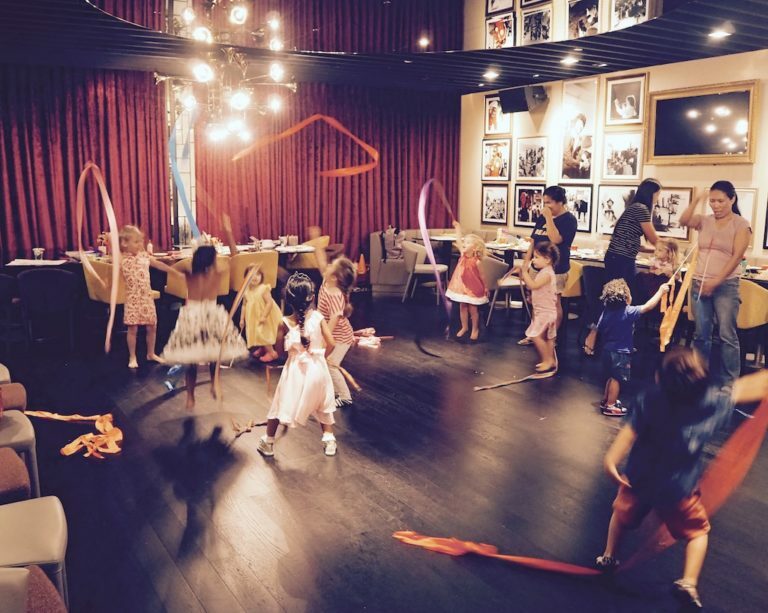 On Sundays, the restaurant offers wholesome brunch for the family and entertainment for the kids while parents relax with a cocktail. Just for kids: Activities like balloon sculpting, colouring contests, toys and cartoons. 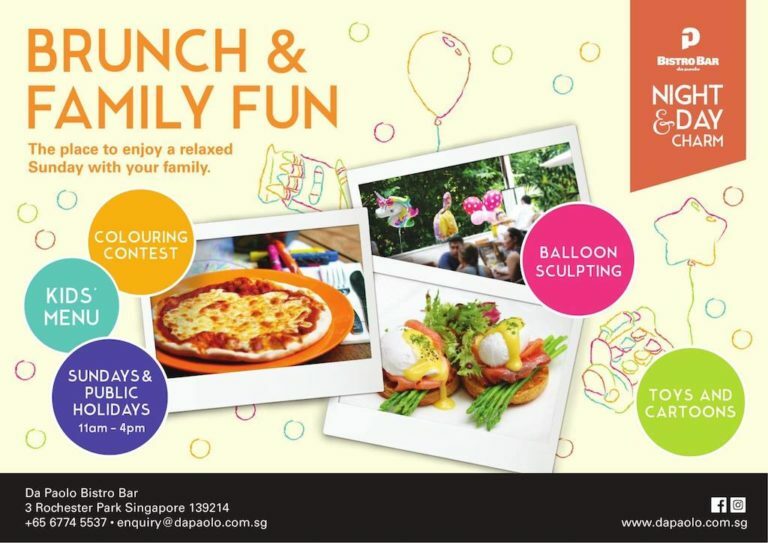 Da Paolo Bistro Bar also has themed brunches where kids get to enjoy even more exciting activities such as a bouncy castle and food decorating. 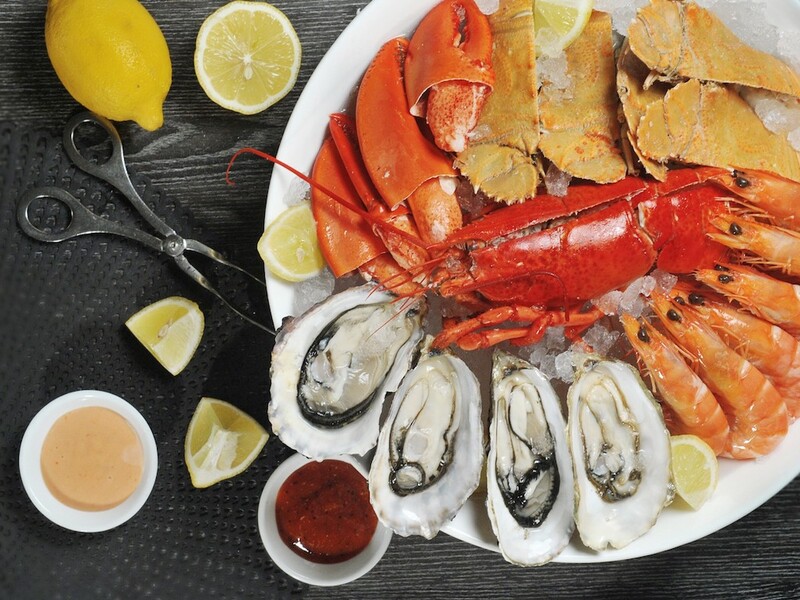 First, there’s the up-sized spread of mouthwatering options like French Oysters, Boston Lobsters, Alaskan King Crab Legs, Australian Tomahawk Prime Beef, Whole Baked Salt Crusted Seabass. In addition, there’s seafood like Rainbow Trout, Slipper Lobster and Norwegian Salmon from The Grill. Furthermore, there’s a suite of boozy brunch options to choose from, including free-flow wine and champagne. Not enough? The selection of martini and Bloody Mary cocktails, and Peroni beer, will keep liquid lunchers happy. Just for kids: Colouring and activity sheets, and coloured pencils will keep young ones occupied. So are you ready to brunch with the family this weekend? Do let us know if we’ve left out your favourite brunch restaurant in Singapore; we’ll add to this list so that other readers can enjoy as well. Cheers!